Anytime you download a game that comes with a seizure warning, it’s gotta be worth a look. That is, unless you suffer from seizures. Then, you should avoid it altogether. 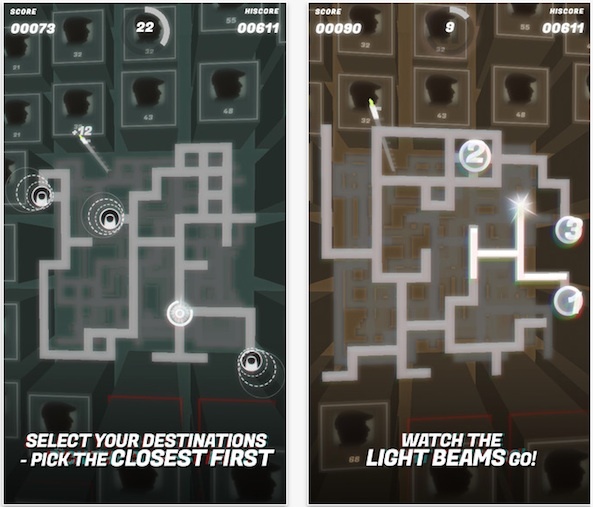 MZR is a Dubstep-themed puzzle game that features blinking white lights, shaky awkward camera angles, and puzzle mazes that challenge your skills in spatial recognition. 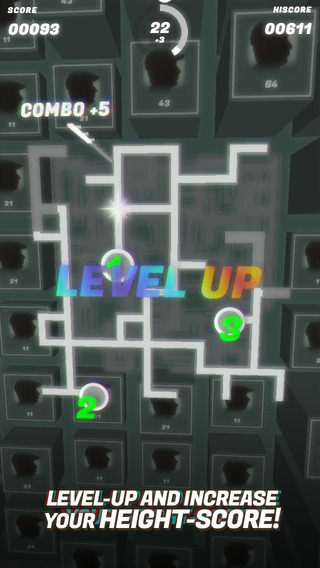 The game is made up of a series of mazes that have one or more destination points. The goal is to tap the points in order of length from the starting point so that the shortest pathway is completed first and the longest pathway is completed last. If you tap out of order, you lose. It is surprisingly difficult to explain the rules, but it goes something like this: if there are three destination points, tap the closest one first, then the second closest, and then the furthest. The starting point will distribute white lines that follow along all three pathways at the exact same time. If a white line reaches the third destination point before the second one, then you’ve misjudged their distance and you don’t earn any points or time extensions. If you are correct on all three counts, you’ll earn points and additional seconds on the clock. Mazes are randomly generated, so each game will be completely different than the last, making for an exciting game no matter how often you replay. The puzzle challenge of this game is interesting enough by itself, but the graphics and music turn it into some sort of madhouse of mazes. There is a constant pulsing effect that moves along with the rhythm of the Dubstep style music. Plus, angle is top-down, but you’re never directly above the maze, so you are looking at it from a corner or upper sideways view. 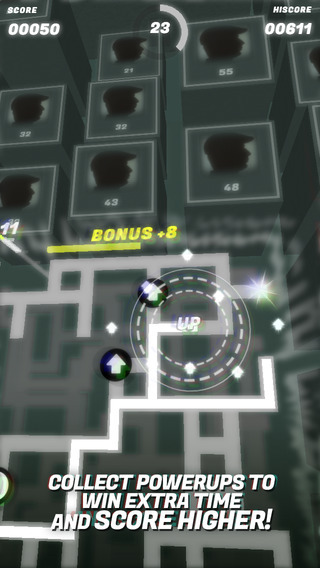 The angle moves during the gameplay, as well. Combine the pulsing white light, the Dubstep music, and the awkward angle and you’ve got yourself an intense gaming experience. Every second counts. You only have 30 seconds to complete as many mazes as possible. If you get multiple pathways correct in a row, you’ll earn combo points to increase your overall score. If you can handle the visuals, the maze challenges are actually fun. There are multiple pathways that look like they may be closer or further than they really are. Judging which path is closest is difficult. MZR is available on the iPhone, iPad, and iPod touch for free. 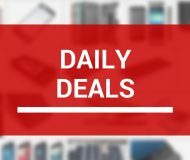 There are no in-app purchases or advertisement banners. If you aren’t afraid of seizures, download it in the App Store today.